Like many small businesses, Blooming Beauty is striving for the right balance between paid and unpaid digital marketing. Currently they have 2 channels that they’re leveraging: their website and Google AdWords. 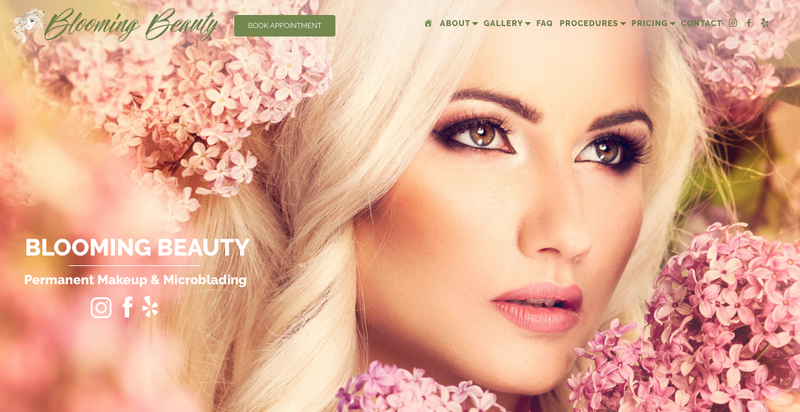 Though Blooming Beauty is a fast-growing salon with a lot of great marketing ideas, they needed some help fine-tuning the more technical aspects of their efforts. Blooming Beauty is an exciting brand that we expect great things from. We’re proud to partner with them to help them reach a wider audience. Web Design, WordPress, SEO, Writing, and Graphic Design for SCOPE Education Services	Web Design, WordPress, SEO, Writing, and Graphic Design for Schrade Custom Builders, Inc.